Malela is the daughter of merchants in Bree, but felt in her heart that selling goods just wasn't what she wanted to do with her life. 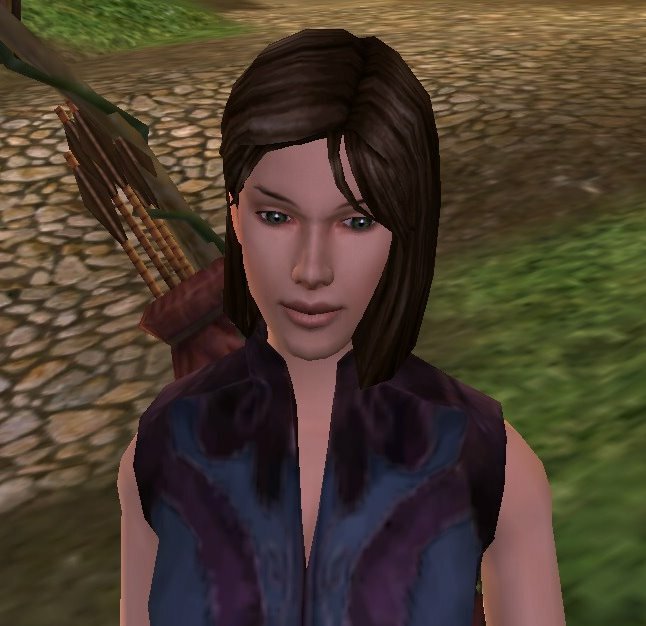 She set out on her on at age 20 to explore the world and see sights she never would have if she'd stayed in Bree. What she discovered, though, was that evil was stretching out from Angmar and was infecting just about every where she went, even the Shire. The things she witnessed so disgusted her that she became determined to do what she could to hold back the tide of evil beings that were becoming more numerous. So now she uses the hunter skills of tracking and bowmanship that she has learned to eradicate as many evil humans and creatures as she can wherever she may find them.